The Harlequin Inn - or "The Harley" as it affectionately known by to the locals - is Sydney's premier Rugby & Sporting Pub. On the corner of Harris and Union Streets, opposite Union Square, we have been the favourite watering hole for those keen for one of our 19 beers on tap, our 26 TV screens & 2 giant projector screens for all your sporting needs, outside dining area, our 145 degree views through our large open plan windows or our multiple function spaces. There simply isn't a better place to relax or celebrate in Pyrmont. We like to keep you entertained so we have you covered everyday of the week with our packed “What's on” list. There is always something for everyone at the Harlequin. The Harlequin Inn's Modern Australian bistro is located in the heart of Pyrmont and has quickly become an institutional dining spot for all passing guests. The fast casual dining experience offered has been designed to meet the needs of the time constrained busy office employee during the week whilst also providing good quality, hearty pub food with each meal served. A number of value orientated daily & nightly offers have been implemented to showpiece some of our signature dishes & provide our guests with the opportunity to try some of the creative flair of our dedicated team of chefs. We look forward to creating a memorable dining experience with you. 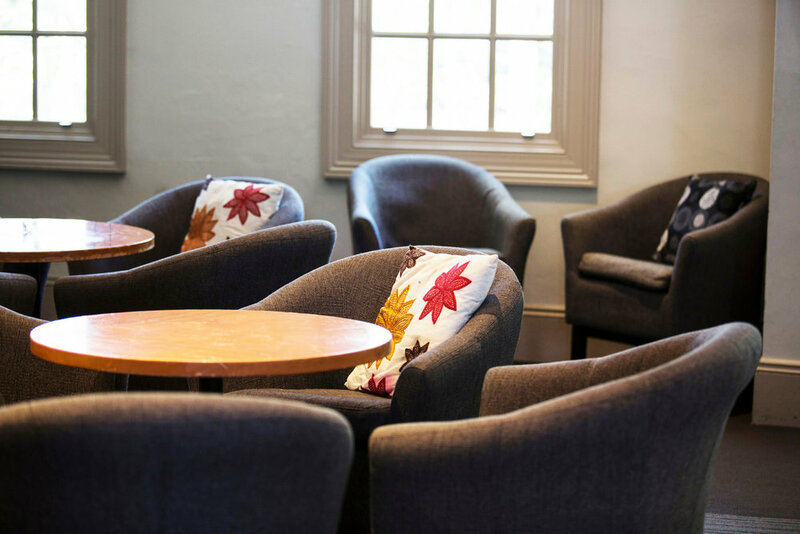 Our ground floor Lounge Bar is the ideal place for an ice cold draught beer – any of the 19 available, and a snack or a meal. The beer is fresh and ice cold, the drink selection extensive. Why not ask a staff member what is on special? One large projector screen & 15 TV screens to keep you up to date on all sports via Fox Sports 1, 2 and 3 + ESPN & ESPN 2. If sitting inside is not you idea of relaxation, then grab a chair on the sidewalk or in our beer garden. But be quick – these spots fill up the quickest. The Edinburgh Bar is open to the public 7 days a week. It's a great place to hang out & relax with all your mates, you'll be entertained for hours with our pool table & dart board. 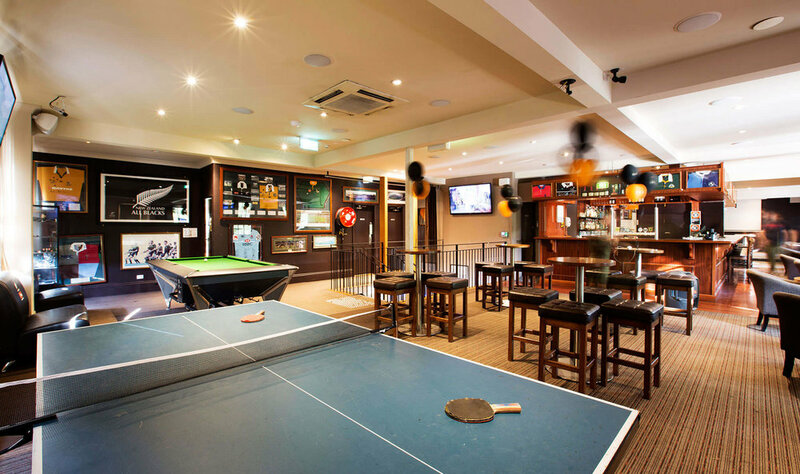 The Edinburgh Bar is also a great spot to catch all your favourite sporting events, with 11 big screens & 1 large projector screen it's impossible to miss any of the action.